You start with dry beans, of course! I did just that, for the first time, and I have to admit–I think I like the canned variety better! Well, I take that back. 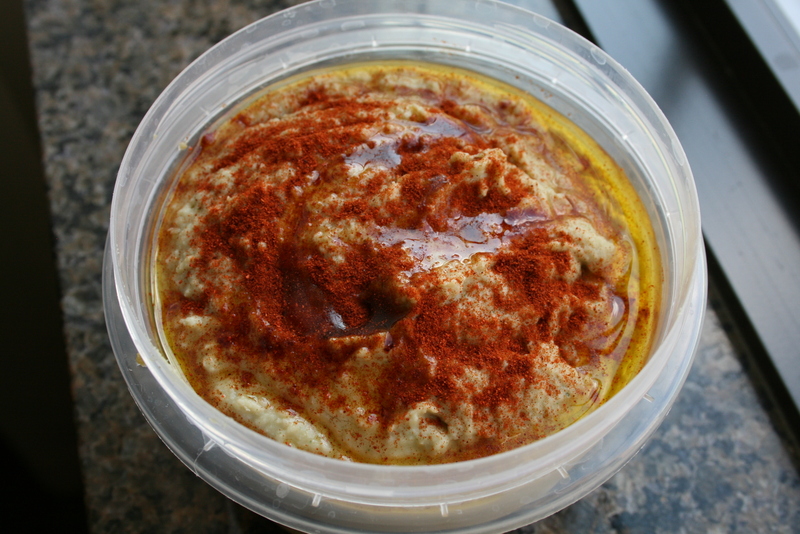 I think what I didn’t like was the flavor imparted by the vegetable broth and herbs I used to cook the beans; it gave the hummus a subtle ‘herby’ flavor I wasn’t used to. I think next time I’ll start with dry beans and use just water. 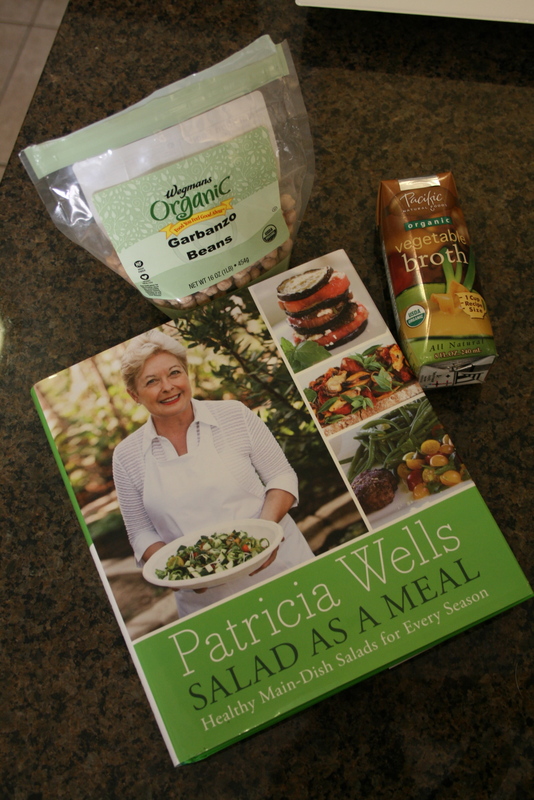 The recipe I’ve been using is from Patricia Wells’ Salad as a Meal book. Get the recipe here. I LOVE the recipe–it’s light and bright and fresh–featuring lemon juice, garlic and cilantro. 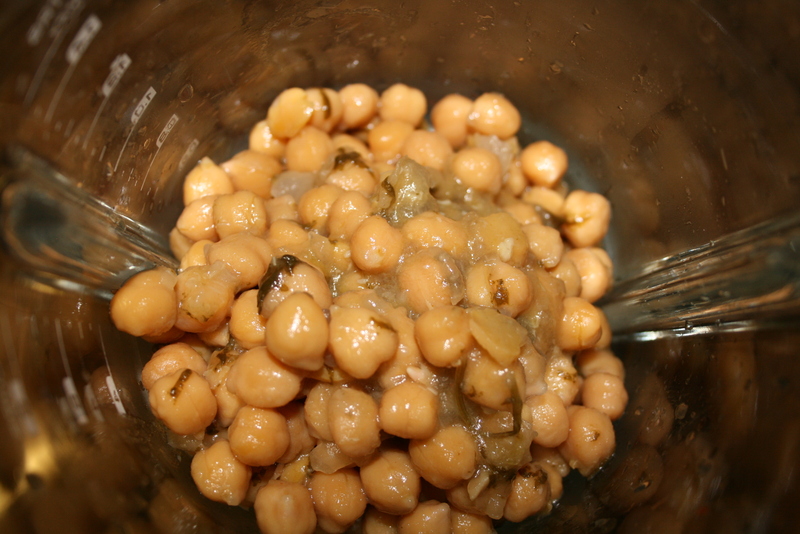 After soaking and boiling the chickpeas with onion, parsley and bay leaves, I dumped it all into the blender. Add the olive oil, tahini, lemon juice, garlic and cilantro. You whir it around until it’s smooth and creamy, adding water (or some of the broth, if you saved it) as needed. I think it’s the blender (my food processor is in storage…), but I have to add a lot of water to get it to the consistency it should be. Half the recipe for the dried beans made double what 1 can typically makes, so I’ll have to keep that in mind for next time. Since Andrew doesn’t eat it, I can’t make too much at once. After blending, top with paprika and drizzle with olive oil. Enjoy! Posted on September 27, 2011 March 1, 2016 by thehealthypineapplePosted in #fabfood, SidesTagged cookbooks, ethnic food, hummus.